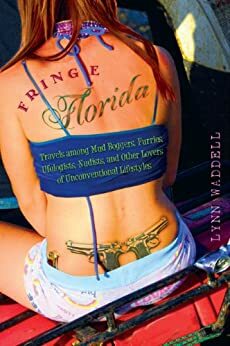 I’m looking forward to sharing a passage from Fringe Florida at Stardust Video and Coffee in Orlando on Wednesday, Feb. 11, 2015. I’m honored to be featured with Suzannah Gilman, editor and contributor to the cooperative blog, The Gloria Sirens, a virtual auditorium to showcase women writers. A licensed attorney, Susan has published poetry, essays, fiction and nonfiction. Her work has appeared in The Florida Review, Pearl, CALYX Journal, The Dead Mule School of Southern Literature, Slow Trains and others. She’s been nominated twice for a Pushcart Prize. Stop by and read your prose, listen to others’, or just say hello. Reading starts at 7 pm and followed by open mic. More info about Wordier Than Thou and the event. I see you are on the book trail; have fun. home again’ -bookies in Miami Beach story. I mailed to you 10 days ago.